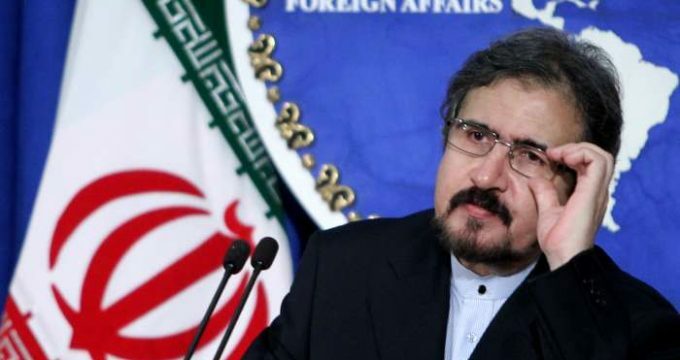 MNA – FM spokesman Ghasemi advised the US government to pay attention to Iran’s positive, constructive and stable role in the region and the world and speak respectfully to the Iranian nation. While urging the new US government to Iran’s positive, constructive and stable role in the region and the world, Ghasemi advised US administration to consider its own selfish and chaotic policies and of some of its obstinate and occupying allies in the region and take lesson from the past to talk only with the language of respect to the Iranian people. “Today we face new threats from rogue regimes like North Korea, Iran and Syria, and the governments that finance and support them. We also face grave threats from terrorist organisations; We renew our resolve to stand united against these enemies of humanity and to strip them of their territory, their funding, their networks and ideological support,” Trump told a press conference in Paris.